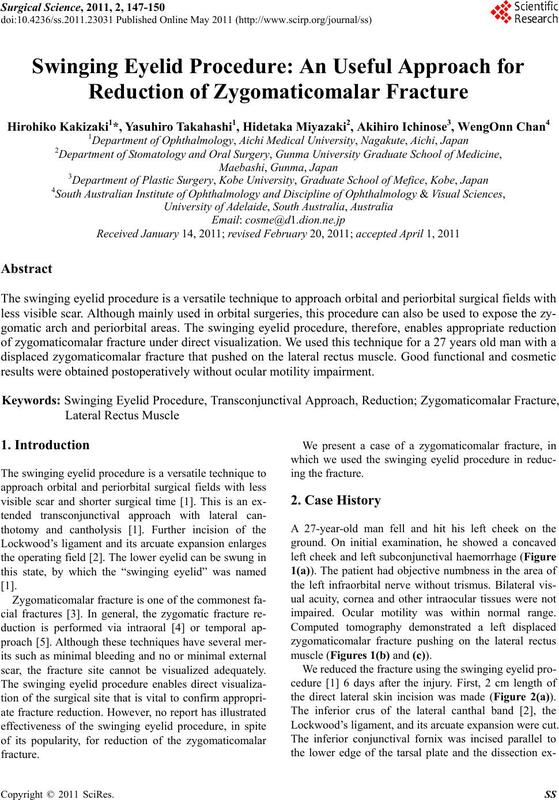 results were obtained postoperatively without ocular motility impairment. 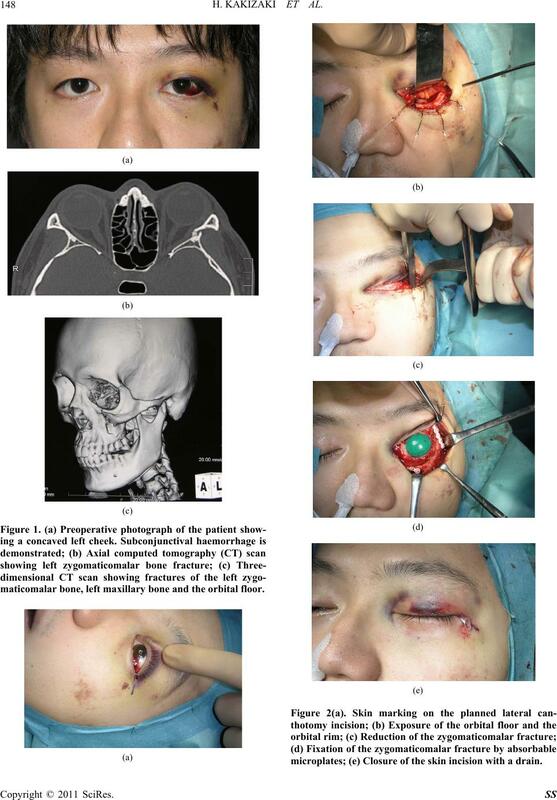 scar, the fracture site cannot be visualized adequately. impaired. Ocular motility was within normal range. mus cle (Figures 1(b) and (c)). the direct lateral skin incision was made (Figure 2(a)). Lockwood’s ligament, and its arcuate expansion were cut. maticomalar bone, left maxillary bone and the orbital floor. microplates; (e) Closure of the skin incision with a drain. approximated and the skin was closed (Figure 2(e)). spicuous, and the lateral canthal shape was preserved. plete reduction of the fracture. excess enlargement of the surgical field . Surgery, Vol. 63, No. 3, 2009, pp. 344-350.
tive Surgery, Vol. 120, No. 7, 2007, pp. 5S-15S. 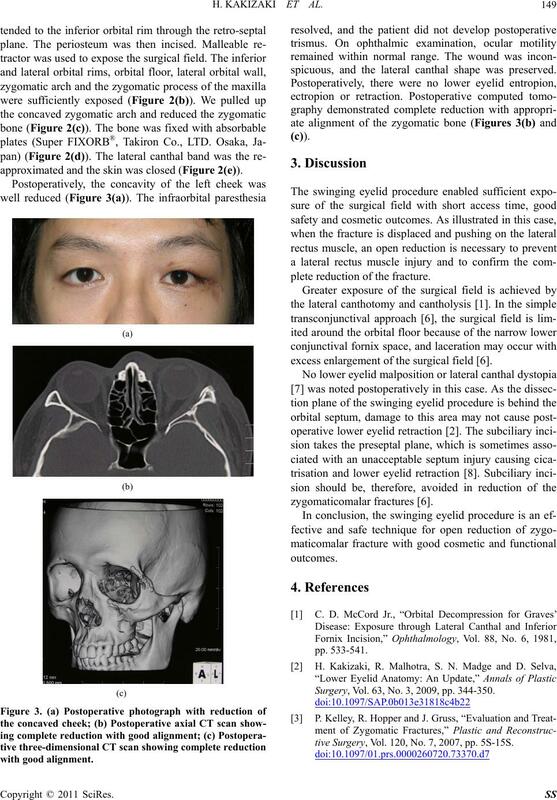 X-Ray Position,” British Journal of Surgery, Vol. 14, No. Surgery, Vol. 36, No. 8, 2008, pp. 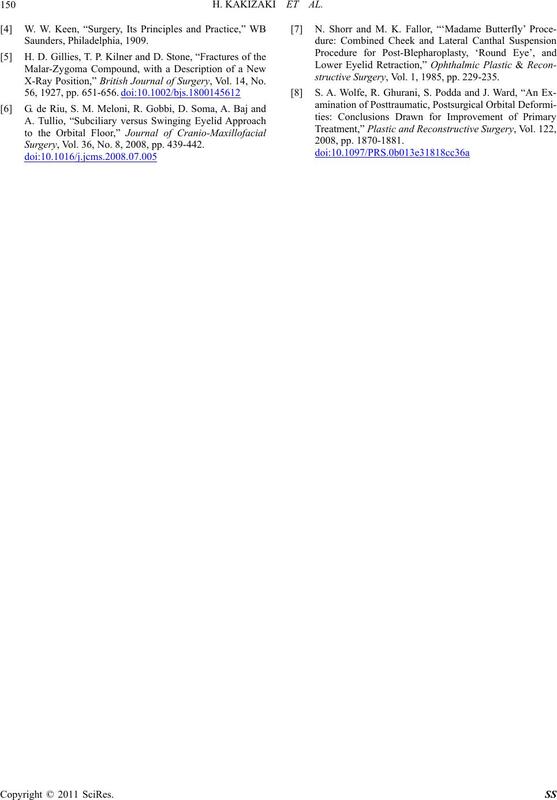 439-442.
structive Surgery, Vol. 1, 1985, pp. 229-235.